Between shifts in the global economy, market volatility and pressure to meet growing expectations of omnichannel commerce, retail supply chains have had it far from easy over the past couple of years. With more consumers choosing to buy products and services online, and eRetail giants such as Amazon.com Inc. cutting into market share, some organizations have had to make serious sacrifices. Many clothing companies have been forced to shut down stores to reallocate spend to technology investments and e-commerce. Others have been pushed to file for bankruptcy. And few, such as Aeropostale Inc., have had to do both. This week, The Wall Street Journal reported that the apparel retailer, in addition to shutting down at least 100 store locations, is planning to file for chapter 11 bankruptcy protection within the next few days. The maker of teen clothing has found trying to maintain a profit to be an uphill battle and has repeatedly reported decreases in sales. People familiar with the matter told the news source that the merchant is preparing to file for bankruptcy before it is expected to pay this month's rent and that the company has already begun discussions with Crystal Financial LLC about a potential financing loan. This announcement indicates that Aeropostale will be closing one-eighth of its stores, though that ratio may continue to grow with time. The Wall Street Journal added that the apparel company has not been clear on its exact plans for restructuring. A surge in e-commerce sales is not the only factor contributing to an increase in retailers shutting down stores or filing for bankruptcy. As the source pointed out, fewer consumers are visiting malls to shop. Furthermore, customer tastes are changing and some brands are finding it difficult to compete with "fast-fashion" corporations, such as Uniqlo. It seems that Aeropostale's downfall has been a steady decline, though. According to the source, the company has reported financial losses over the past three fiscal years, as well as a dramatic revenue drop and that FactSet estimates its current market value is less than $3 million. Earlier this year, the retailer found itself in even more of a predicament when its apparel manufacturing company, MGF Sourcing, become more strict and demanding in its payment terms. A couple of months ago, Aeropostale accused MGF of causing supply chain disruptions and hurting merchandising costs, claims that MGF rebuffed. 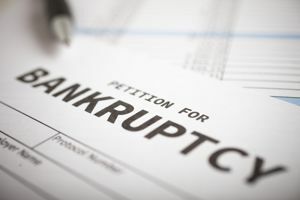 Ideally, the companies that file for chapter 11 bankruptcy protection are able to find lenders and financing support that allow an eventual recovery. However, as the source noted, more than half of America-based retailers that have undertaken this strategy over the past 11 years have gone out of business. Retail Dive recently examined what happened in the case of Sports Authority Inc., which filed for bankruptcy protection, only to later announce it would be liquidating the business. An analyst told the source that one of the main areas where the retailer went wrong was making unwise investments in an attempt to improve e-commerce and omnichannel initiatives. As the competition between retail companies continues to intensify, as well as the rapid and widespread adoption of digital technologies and the Internet of Things, it is going to become increasingly important for sellers to strategically source operations. They must approach investment opportunities with caution and be careful not to dive too deep into an area of sourcing and selling they are not prepared for. Retail organizations that do not possess the experience, resources or expertise to safely and successfully adjust operations in accordance to emerging trends are highly encouraged to partner with a consulting firm that can help bridge the talent and skills gap.